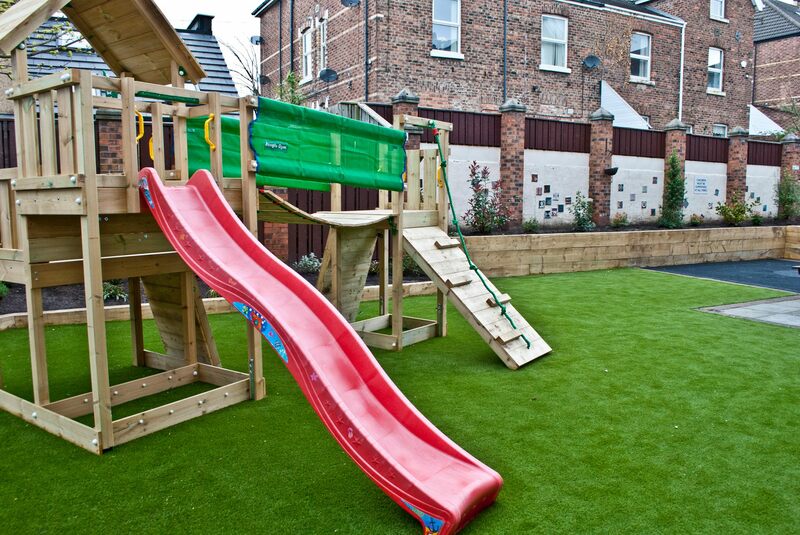 A transformed play space and garden for a residential community centre on the Wirral. 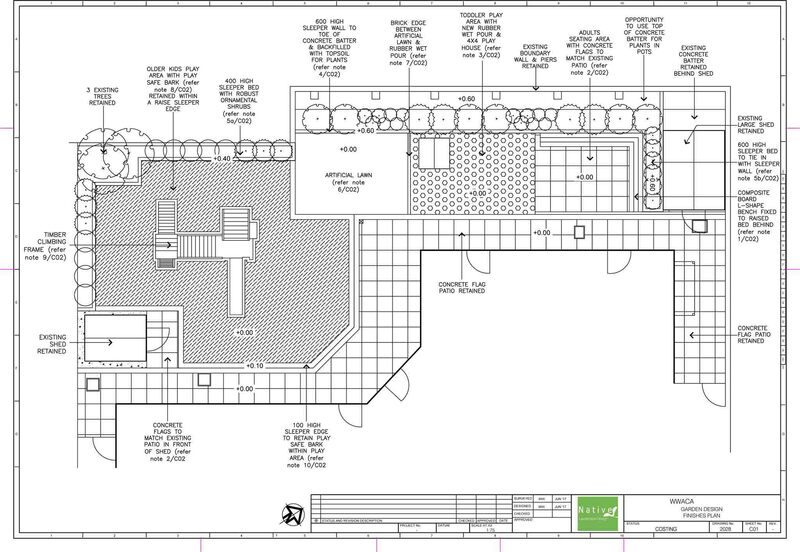 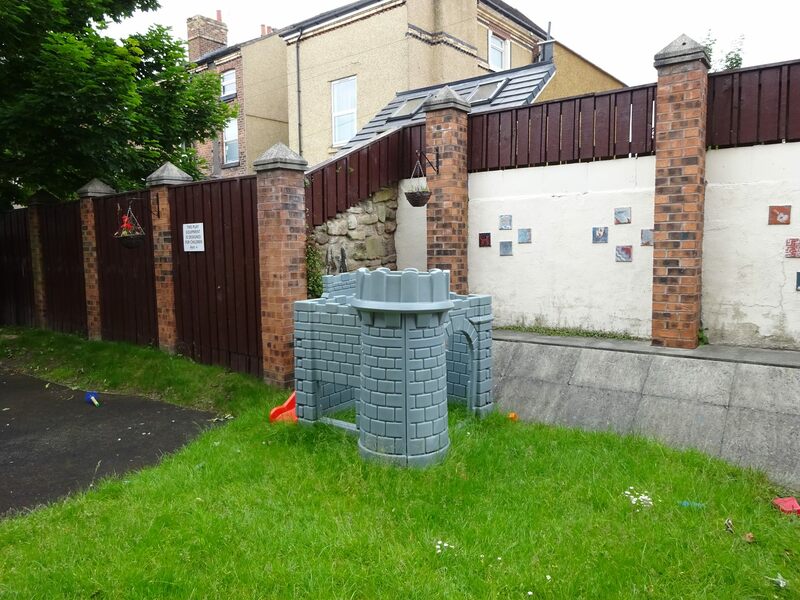 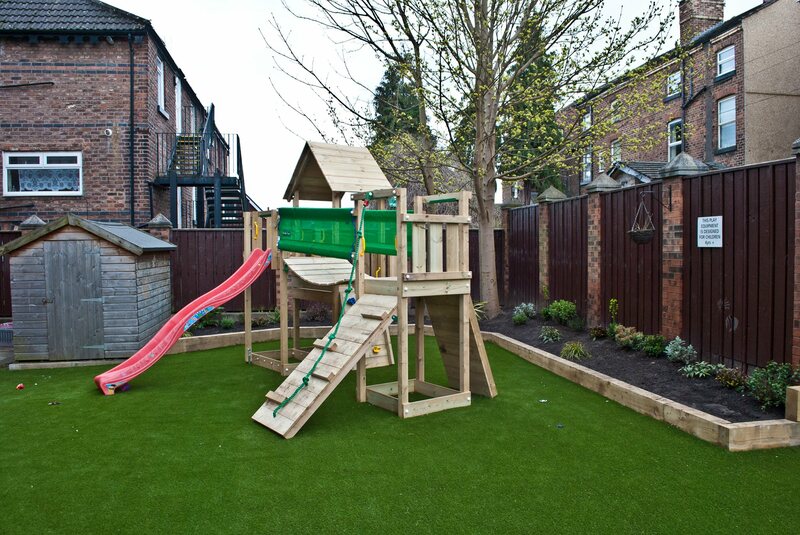 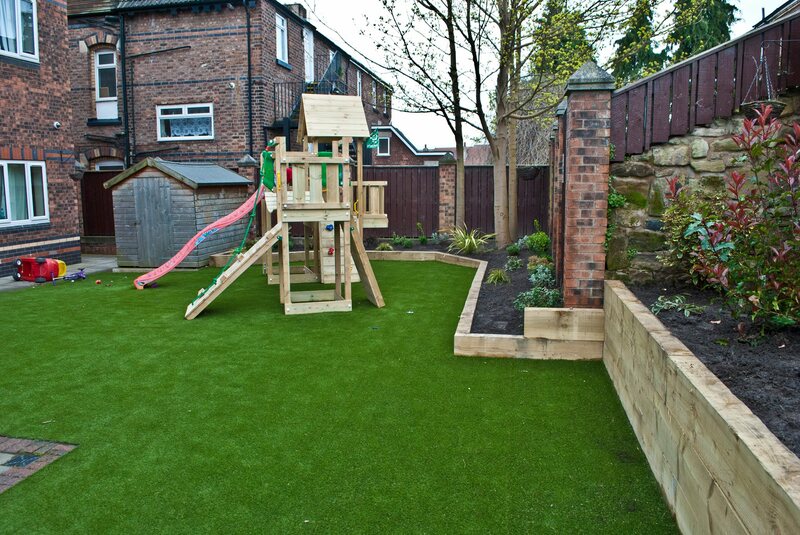 Features include a new attenuated artificial lawn play space with a new climbing frame and slide. 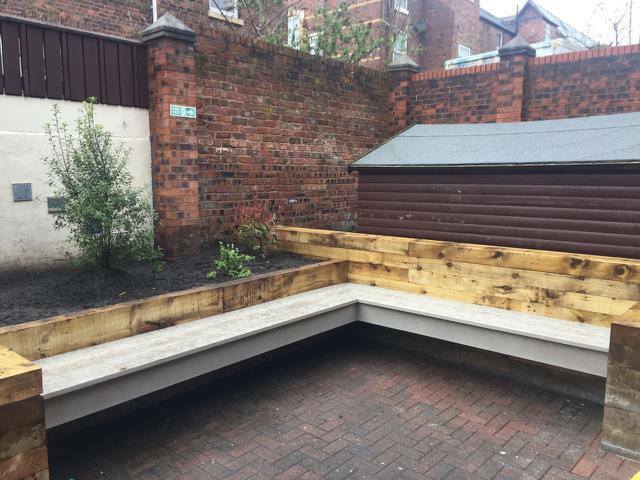 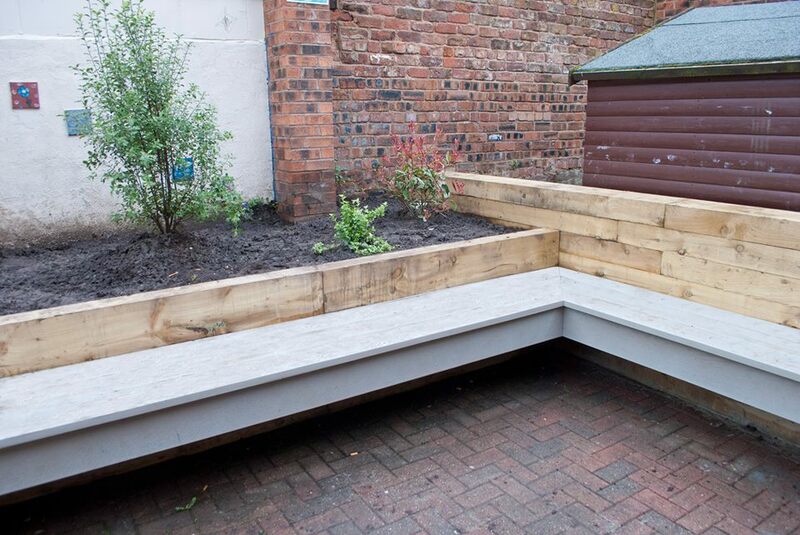 The concrete retaining wall has been disguised with a raised sleeper bed and the old picnic tables have been replaced with a fixed L-shaped composite timber floating bench. 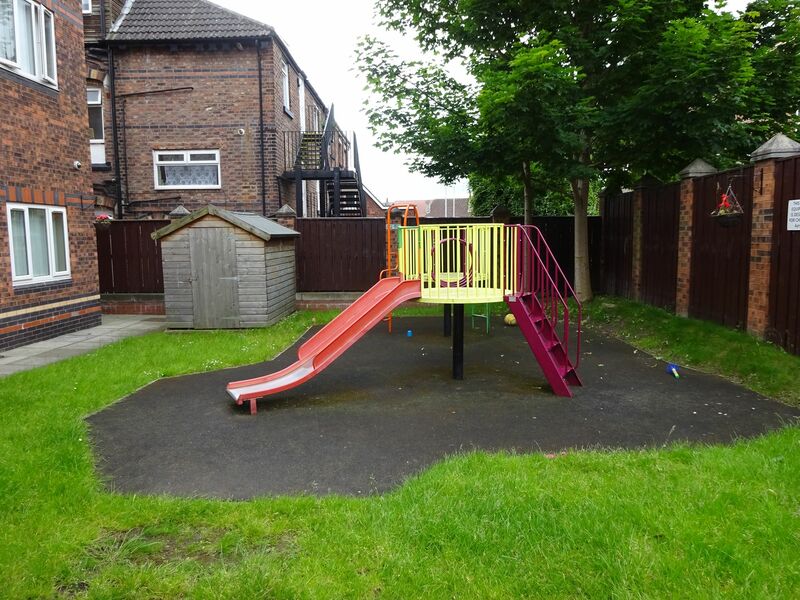 A couple of before photos are at the end. 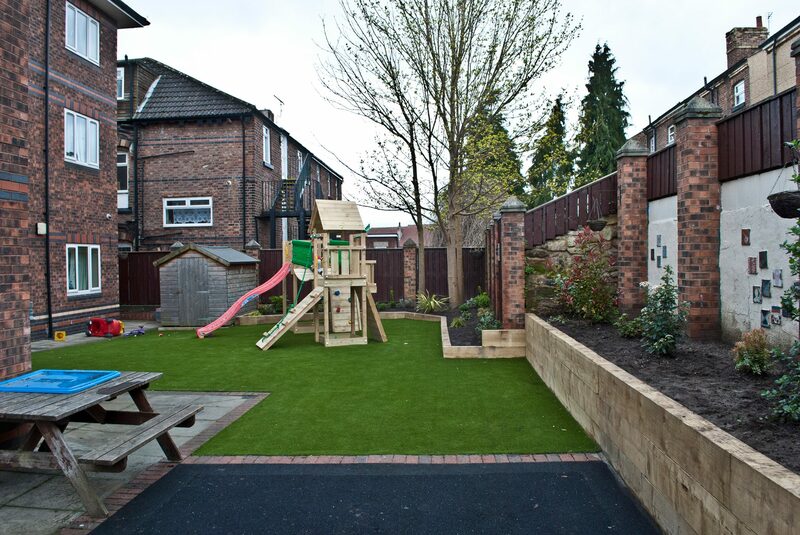 If you have a community garden that you need a professional design for then please contact us today.